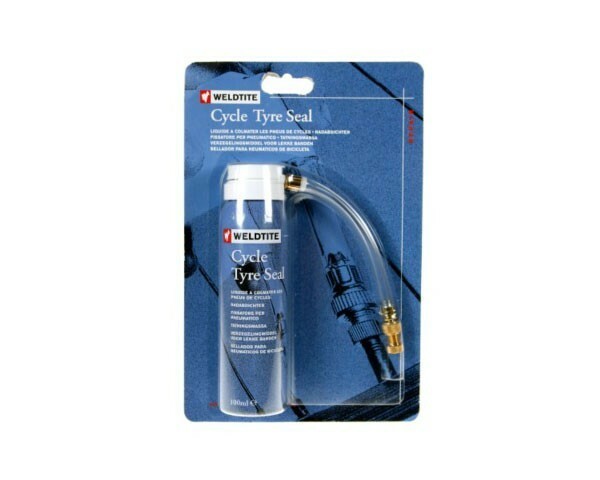 Weldtite Bike Tyre Seal is a pressurised latex sealant for fast repair and inflation. Sufficient for 2 road tyres or 1 mountain bike tyre. 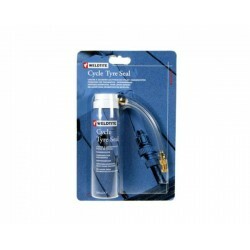 Removes the need of pump, tyre levers and patches.